Gold prices were inching higher this Thursday, propelled by the ongoing trade dispute between the US and China. It is unlikely that U.S President Donald Trump and Chinese President Xi Jinping will convene for a meeting before March 1, the stipulated deadline for the countries to reach a trade deal. This uncertainty will ultimately impact the price of the precious metals market, at least until the American and Chinese officials meet again. Spot gold prices went up by 0.33 percent to $1,310.08 for an ounce, recovering from the low of $1,302.11. US Gold future fell slightly by 0.05 percent to trade at $1,313.80. The dollar has been recovering, making it more expensive for holders of other currencies to purchase the bullion. The dollar’s stronger position is playing its part in keeping gold prices under check, and this comes after the US Federal Reserve expressed a dovish stance on further interest rate hikes. There are several global growth concerns that are playing a negative role on the equity market. The global economy is seen to be slowing down as India abruptly slashes interest rates, and recent data shows Germany’s slow economy in December, indicating that the stock market could be heading towards another freefall. Meanwhile, gold rates in India slumped by Rs. 270 to Rs. 34,180 per 10 grams, as reported by the All India Sarafa Association. The precious metals market as a whole seems to have benefited as silver prices rose by Rs. 120 to Rs. 41,500 per kilograms due to higher off-take by coin manufacturers and industrial units. Gold purities of 99.5 percent and 99.9 percent declined by Rs. 270 each to Rs. 34,030 and Rs. 34,180 per 10 grams respectively. The rates for silver coins sustained their previously held prices of Rs. 81,000 for selling and Rs. 80,000 for buying per 100 pieces. 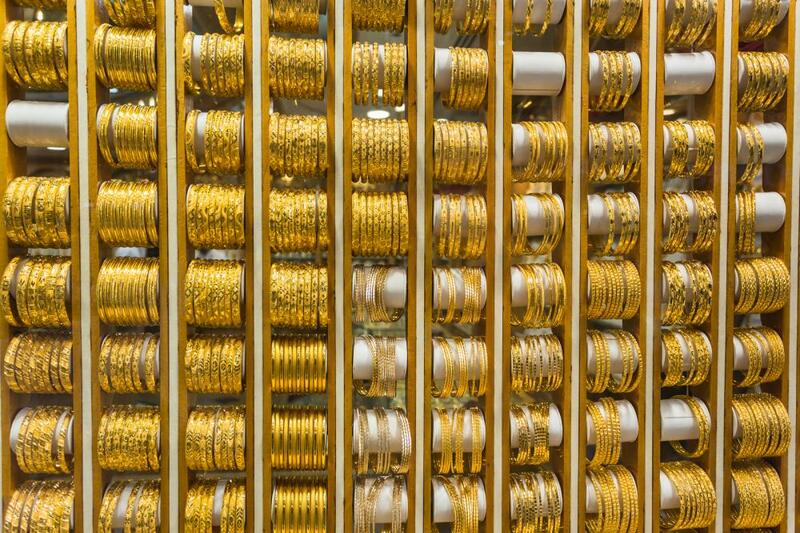 The reason for the bullion’s poor performance in India has been attributed to the relatively weaker trends observed overseas, putting pressure on gold as local jewelers respond by slashing their buying patterns. Palladium rates increased by 0.87 percent to $1.384.50 for an ounce as the demand for the metal increased due to a global supply/demand deficit. Automobile manufacturers depend on palladium to produce fuel efficient, eco-friendly catalysts. Governments all over the world, especially in China, will enforce regulations that require manufacturers to abide by the new standards. A close alternative to palladium is platinum, which is cheap and in ample supply. Prices for platinum touched a low of $791 after slipping by a whopping 1.49 percent. Automobile manufacturers are considering making a switch to platinum instead of the more expensive palladium, but the process could take as long as 2 years. But who is to say that current market trends wouldn’t change, making platinum more expensive than palladium? That being said, the precious metals market as a whole is seen growing as investors rush towards safe haven assets amidst global political instability and economic slowdowns.